Visited on 3rd August 2012. Lancashire was once full of cotton mills but now they tend to be used for something else. To find a mill and look inside you need a museum and this is the best one I've seen. It was also used as a setting in the film 'The Kings Speech'. Located in Harle Syke a suburb north east of Burnley, a place where workers co-operatives were started to invest in mills rather than have a single mill owner. You walk through the complete mill from boiler room, mill engine room, to where cotton was transferred onto the pirns that go into the shuttle and on to the weaving shed where a few hundred machines are running when the engine is on (it was during our visit). Only a couple of machines had shuttles clicking back and forth yet the noise is still more than you would sensibly want to remain in. Ear Protection is provided. Painted in white with the sun shining through the roof, and the floor and air clean it doesn't seem so bad. Yet that is 2012 environment. Once the air would have been full of cotton dust. Something else worth noting is that all the machines and engines are made in Lancashire. 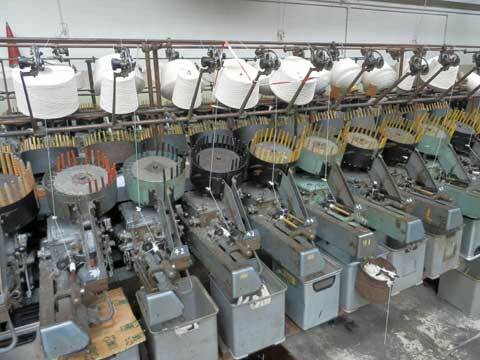 The thousands of looms and various contraptions must have been a huge industry in its own right. Not to mention, the ships and barges, trains and mines. There are plenty of information boards, exhibits, finished samples, and a shop and cafe, car parking is available. Friendly volunteers will provide information. Well worth a visit. You can read all about it and find opening hours on the Lancashire County Council Museums website. Here is the link: Click here. Scan down this page to see a map of its location. 20 miles from Preston along the M65. The machine that transfers cotton onto the pirns. Making material to go into shirts although this mill made plain material. 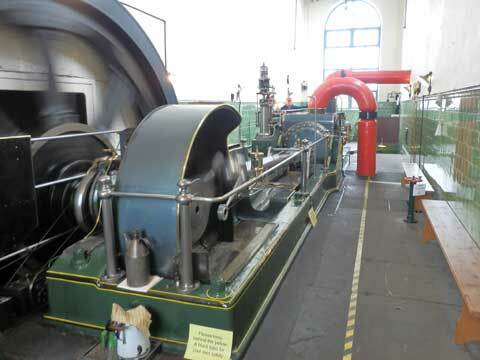 The mill engine operating. Surprisingly quiet but with quite an interesting beat. 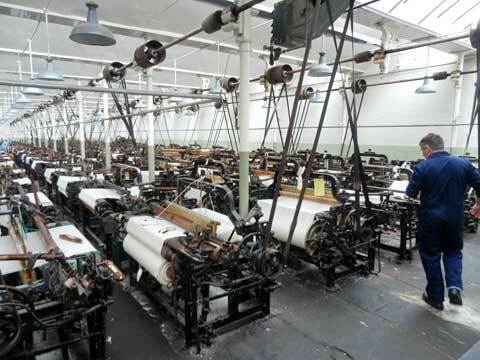 Link to Helmshore Mills Textile Museum page. 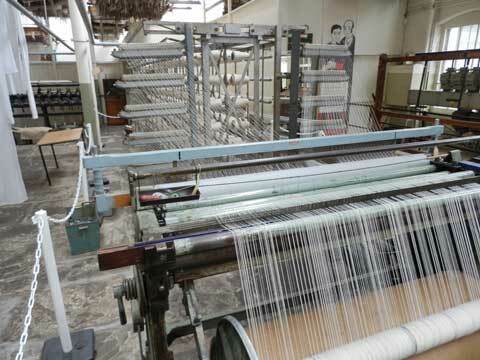 Another museum that spins the cotton for Queen Street to weave.